The University of British Columbia is a public institution located in Vancouver, British Columbia with over 61,000 students. 22 % are international students from over 155 countries. UBC ranks consistently among the top 40 in the world (Times Higher Education Ranking) and is the number one international university in North America in 2016/17. It has 20 Faculties, 11 Schools and 3 Colleges. Research funding nears $550 million and the University has a $12.5 billion in economic impact to the province. British Columbia is home to several of the world’s largest lumber companies and the province is the world’s largest supplier of softwood lumber to world markets. 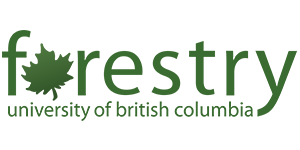 The forest industry contributes $2.5 billion in revenue annually to the BC government. Employment in the industry is growing with direct and indirect employment currently at about 150,000. 24% of all manufacturing jobs in BC depend on forestry. More than 40% of the province’s regional economies are based on forestry activities, supporting 55,000 direct jobs in more than 7,300 businesses. The Faculty of Forestry comprises of three Departments, two University Research Forests and the Centre of Advanced Wood Processing. The Faculty offers four undergraduate and five graduate programs. As such, it is the largest forestry school in Canada. Programs cover a breadth of topics from biology of trees, innovative wood products and forest engineering, through ecological, societal and cultural themes as they relate to the forest. Students learn to use the latest technology available to manage forests thoughtfully and efficiently. The Faculty is an exceptionally strong academic unit and has continuously ranked among the premier forestry schools in the world with a large community of forestry-oriented scholars. UBC Forestry receives the highest level of forestry research funding of any forestry faculty in Canada. The Society of Wood Science & Technology (SWST) is an internationally-recognized professional organization of wood scientists, engineers, marketing specialists and other professionals concerned with lignocellulosic materials. 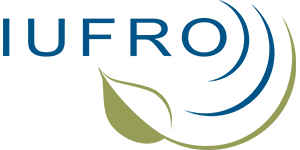 Members are dedicated to the wise use of one of our most environmentally-sound resources. SWST is committed to protecting our forests through the development of new ideas, procedures, policies and products for the wood industry. This organization establishes a forum for the exchange of ideas, the communication of knowledge and the development of high standards, policies, and ethics for wood research and the wood industry. Only by supporting the high principles of conservation-minded use of our wood resources, can we reduce the impact on our forests. Two mechanisms we utilize to bridge education to ultimate practice is our quarterly journal, Wood and Fiber Science which is not only in printed format but available in an electronic format, and our fully electronic, free access, BioProducts Business Journal. Quality education in our field is a fundamental first step in taking wood science and industry into the 21st century. By fostering educational programs at all levels of the field – undergraduate, graduate and post-graduate – SWST aids universities and colleges in providing a quality educational foundation through accreditation of wood science and technology programs. In a continuing effort to expand awareness of problems and solutions concerning the overall wood resource use, SWST provides funding to assist qualified people to participate in national and international visits for increased awareness of progress within the wood industry field. 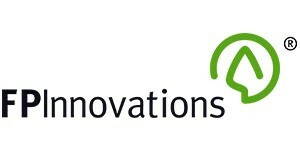 FPInnovations is a not-for-profit world leader that specializes in the creation of scientific solutions in support of the Canadian forest sector’s global competitiveness and responds to the priority needs of its industry members and government partners. It is ideally positioned to perform research, innovate, and deliver state-of-the-art solutions for every area of the sector’s value chain, from forest operations to consumer and industrial products. FPInnovations has been a catalyst in creating an innovation hub for the forest sector involving the industry, governments, universities and suppliers. The hub brings together stakeholders with diversified backgrounds who share one common bond – to see the industry thrive through the development and deployment of innovation and what that means for a sustainable future. It also enables the convergence of three essential strengths for our sector’s future development and market alignment, namely: industry initiative and capital, innovative R&D and engineering resources, and financial support from government partners.